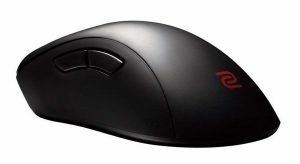 The EC1 and DeathAdder both serve the larger hand sizes, both do that job very well. Shape wise, both mice are very strong, I'd give the edge to the EC1 with a shape and size that'll suit more grip styles than the DeathAdder. The EC1 buttons are a little stiff, but I'd take that over the mushier DeathAdder clicks. In general this is a very close call, if you can try both mice I'd recommend doing that, if you just can't wait to do that, I'd go for the EC1.